Congratulations for going into farming, especially for educating yourself before investing. At this time when arable land is becoming scarce due to the pressure from population growth, agriculture has to be made sustainable. It is therefore essential to use organic fertilizers (nutrients) to boost production and preserve food quality and the environment where production takes place. 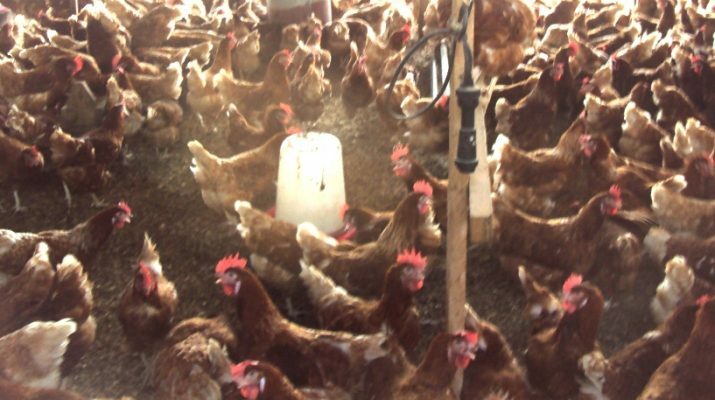 Chicken droppings can replace chemical fertilizer, 20-10-10 but there may be a problem of availability of these droppings if the land you want to fertilize is very big. Organic manure (fowl droppings, compost, kitchen waste, plant residue, etc…) have the added advantage that they improve the soil structure (biological and chemical properties of the soil) because of their organic content, and ensure plant productivity after several growing seasons. 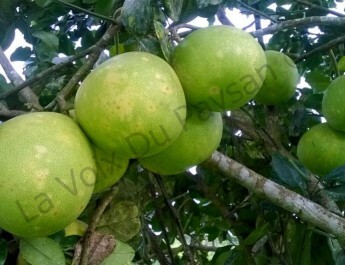 It is a fertilizer made up of three primary nutrients which are nitrogen (N), phosphorus as P2O5 and potassium as K2O. Thus, in a fertilizer formula (NPK) 20-10-10, this simply means that 100kg of fertilizer (20-10-10) containing 20 kg of nitrogen (N). 40 kg of nitrogen correspond to 200 kilograms of fertilizer (NPK) 20-10-10; or 40 kg of phosphorus and 20 kg for potassium. You understand that in terms of equivalence, if we consider the element nitrogen (N), 200 kg of 20-10-10 fertilizer has the same amount of nitrogen like 1 ton of dried layer droppings manure with 20%. In conclusion, it is not ideal to completely replace chemical fertilizers with chicken manure especially if cultivated land is very big (eg areas over one hectare). For example to make a yam field using only organic manure takes approximately 35 tons per hectare, and it is not easy to find this amount of droppings. The organic matter after the use of compost manure or droppings plays an important role in sustaining soil fertility and thus good for sustainable agricultural production. Besides being a source of nutrients for crops, organic matter improves the biological properties and chemical properties of the soil. These improvements makes the soil to become more resistant to stresses such as drought, disease and toxicity, it helps the crops to better capture nutrients, it also has a good nutrient cycle due to vigorous microbial activity. It is advantageous to use compost as fertilizer because by improving soil structure, it improves soil fertility over time. The key factor in improving the soil structure is organic matter. It contains large quantities of micro-nutrients that are essential to plant growth and improves the retention capacity of soil water. Chemical fertilizers contain only few nutrients (Nitrogen, Phosphorus and Potassium), but the concentration of these elements is much greater than in the compost. The nutrients contained in fertilizers are released quickly. This implies that chemical fertilizers are a quick and unique provision of nutrients to meet the needs of a crop. It is not enough to use only chemical fertilizer if you want to maintain a certain level of soil fertility. We need organic matter to retain water and nutrients. In a degraded soil that contains no organic matter, yields continue to decline, even if you apply chemical fertilizer. 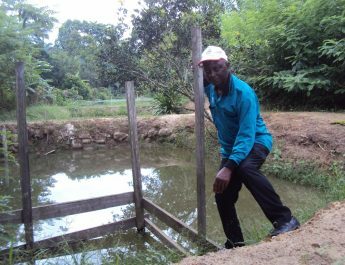 This means that every time a farmer applies fertilizer, he must watch the level of organic matter of the soil. Over time, chemical fertilizers could even have a negative effect on the ground, because it will become depleted and degraded if we do not add organic matter. The chemical composition of the fertilizer can also cause soil ‘acidification’. 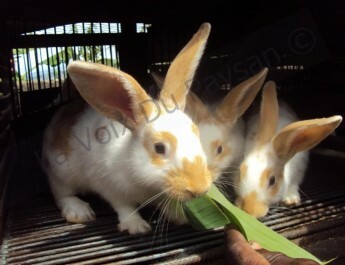 Cameroun: Y a-t-il un aliment pour augmenter les mises bas chez le lapin ?